Classical genius Wolfgang Amadeus Mozart and clarinet virtuoso Michael Collins share a birthday – 27th January, just two weeks ahead of the London Mozart Players’ own 70th anniversary. There’s no better way to mark this triple celebration than to perform two of Mozart’s acclaimed works at our resident home, St John the Evangelist. 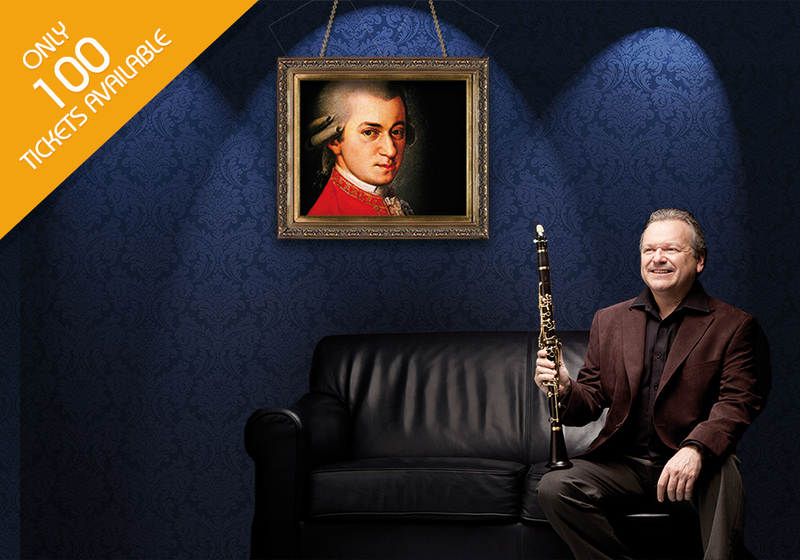 Mozart’s lyrical Clarinet Concerto is considered one of his greatest works. Though often played on the clarinet, you will be treated to a performance on the sonorous bassett clarinet, the instrument the work was originally written for. Distinguished artist Michael Collins will bring all his dazzling virtuosity to this classical favourite. As part of our mission to bring world-class classical music to Upper Norwood, this concert is sponsored to ensure that young music students, the disadvantaged and those who could not normally afford to go to classical concerts get a chance to come along for free.We are also releasing 100 general admission seats (£25). When you purchase your ticket(s) for this concert you will have the opportunity to purchase a further ticket(s) for £5, which will enable someone less fortunate to come along to this concert. Please consider sponsoring an extra seat, and spread the love for classical music! 100 tickets for this concert at £25 each are now on sale. These exclusive tickets will include an invitation to a private post-concert champagne reception with Michael Collins and the orchestra, plus reserved seating and programme. We expect there to be high demand for this concert, so please book ahead to secure your seats! If you can’t make it to the concert but would still like to sponsor a seat for £5, please visit our ‘Donate’ page for payment options.